Inca Trail Or Lares Trek - Which Trek Is Right For You? Which is best – Inca Trail vs Lares Trek? You would think that when traveling to Peru the most difficult decision would be what to pack, where to stay, and other unknowns involved with traveling to a faraway location. However, often the toughest choice is which trek to take to Machu Picchu. 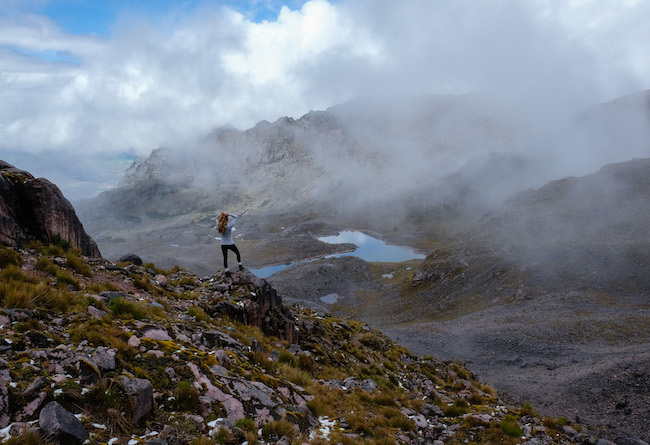 Most people have heard of the Inca Trail but there are many other beautiful trails in the region that are stunning and don’t require permits, such as the Lares Trek. Read the article below for more information about these two trails to help you decide! Written by our travel partner Plan Ur Escape and posted with permission. Check back with us in the future for a comprehensive post comparing all the available trails. 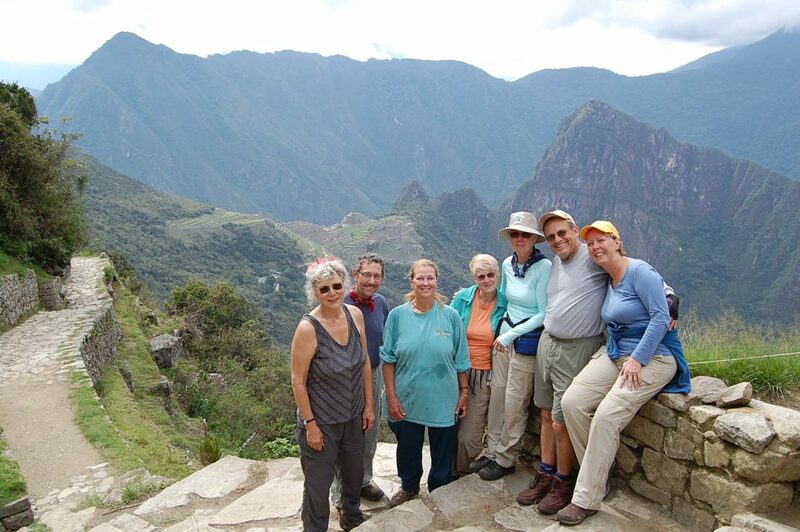 We are offering an amazing, fully inclusive tour to Machu Picchu via the Lares Trek. Many people have asked, what’s the difference between the Inca Trail vs Lares Trek and should we take this tour or wait until you offer an Inca Trail tour? Of course, we would love for you to join our Lares Trek tour, but in all fairness, we want to share more about these two options to help you make the best decision. To try and stay neutral about this decision, let’s just explore the facts about each trek. 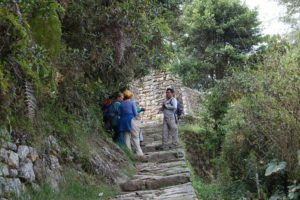 The Inca Trail is a very historic way to relive the path of the Inca people. You will, over the 4 days, get to see 7 small ruins that only those who make the hike get to see. You will spend a lot of time marveling and contemplating this section of “roadway” that was laid by Pre-Columbian people. The famous 4 Day Inca Trail represents just one small section of their overall extensive roadway system was 39,900 kilometers (24, 800 miles) long! Click here for more information on the ancient Inca Trail. To trek the Inca Trail you must plan at least 6 months ahead because only 500 people are permitted to hike this trail each day. The 500 person limit includes tourists as well as all the porters required to carry camping gear, food, and more for your trip (this takes a lot of manpower!). There are no horses allowed on this trek as they would damage the stone steps. You must get a permit through an approved tour company, which will be checked along with your passport at various checkpoints as you trek along the trail. The Inca trail is much more touristy and you will see a lot of other hikers as you travel and MANY porters (move to the side to let them through). At night in the campsites, you will see, hear and interact with other groups. The paths are well traveled! Do you like stairs? The Inca Trail has over 3000 stair steps, up and down, some very steep, some rough. You will travel through Cloud Forest, across high narrow bridges, through little caves and narrow walkways. There are many ascents and descents, day 2 being the most difficult to the famous Dead Woman’s Pass (4215m or 13,828 ft). You will hike up and down thousands of feet on this very long day. You will see a lot of uninhabited landscapes and scenery while trekking. In total you will travel 42 kilometers (26 miles – same as a marathon! ), which doesn’t sound like much over 4 days, but considering elevation, ascents and descents, it is quite strenuous. You will start at an altitude of 2799m (8858 ft) ascending to the highest point 4215m (13, 828 ft), Dead Woman’s Pass. On day 4 you will be woken at 4am to hike to the checkpoint, arriving at the ancient entrance of the Inca, the Sun Gate by approximately 7am (you miss sunrise over Machu Picchu). Your guide will stop you right before you enter for some preparation. It is quite a shock actually to come from the emotional and beautiful trekking experience and enter the crazy, noisy, crowded Machu Picchu. Personally, I felt it was quite anticlimactic and disappointing! Machu Picchu is amazing, of course, but seeing it with thousands of my closest friends after experiencing the Inca Trail was a bit of a let down. If you want “bragging rights” to say you accomplished this challenging and historic trail, then you should do it for sure! To compare the Inca Trail vs Lares Trek, the Lares Hot Springs Trek including a visit to Machu Picchu is also 4 days. The Lares Trek is 34 kilometers (21 miles), high altitude, but less dramatic in the ascents and descents. You start at 3200m (10,499 ft) and ascend to 4700m (15,092 ft), the highest pass being Pumahuanca. 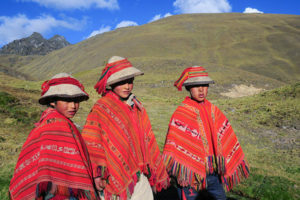 There are no permits needed as this hike is more rustic, off-the-beaten-path, and cultural as you walk through villages and farms where you will meet and interact with modern-day Andean people, the descendants of the Inca. You will pass through glacial valleys, past rivers, lakes, waterfalls and of course the amazing, Lares Hot Springs where you can bathe your trekking dirt away on the 3rd day. You will be hiking in the Sacred Valley, seeing Inca ruins, landscapes and villages that have changed little over the centuries. The experience is rewarding and authentic both in the people you will meet and the wilderness you will pass through. You will most likely not meet lots of other groups along the way. 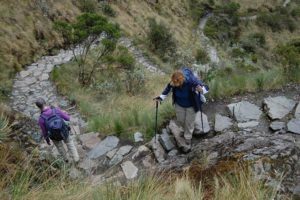 The experience is a bit more private, the campsites more remote and although it is still a challenging trail, it is less physically taxing than the Inca Trail. After completing the trek, you will take the Vista Dome train (with large wide windows) to Aguas Calientes, where you will spend the night. You will be woken up before dawn to take the 25 minutes bus ride up to Machu Picchu and experience sunrise over the ruins before the crowds arrive. At this early time you will capture the essence of the spirituality in the ruins. After touring the ruins, you can hike up to the Sun Gate to experience what it’s like to enter Machu Picchu via the Inca Trail and to capture photographs and views from that angle. So which to choose? Inca Trail vs Lares Trek? Both treks have much to offer. Both provide you the opportunity to visit Machu Picchu. Here are the main deciding factors you should ask yourself. Is it important to enter Machu Picchu through the Sun Gate? Then hike the Inca Trail. Or is it important to have an “off the beaten path” experience interacting with locals and less traveled? Then choose the Lares Trek. In either case, you will have a life-changing, memorable experience, with a spiritual connection to the magic of the Inca and the Andes! 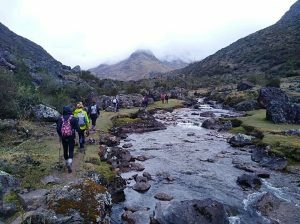 For more information about the luxury, 10-day all-inclusive Peru Trip, including a beautiful Lares Hot Springs Trek, visit our partner website by clicking here. Interested in this 10-day tour? Contact us or Lorraine from Plan Ur Escape!